Signature dishes encapsulate the passions and cooking style of their creators—the culinary equivalent of artists finding their own style. In this series, we tell the stories of sublime signature dishes that define the world’s top chefs and their careers, starting with Wolfgang Puck and Spago’s enduring smoked salmon pizza. Every year, Hollywood A-Listers look forward to this dish at the annual Oscars Governors Ball. It’s been on the menu of the original Spago in Beverly Hills since 1982 when it was created, spawning copycat versions in restaurants and homes alike all around the world. Yes, we’re talking about Wolfgang Puck’s signature smoked salmon pizza. 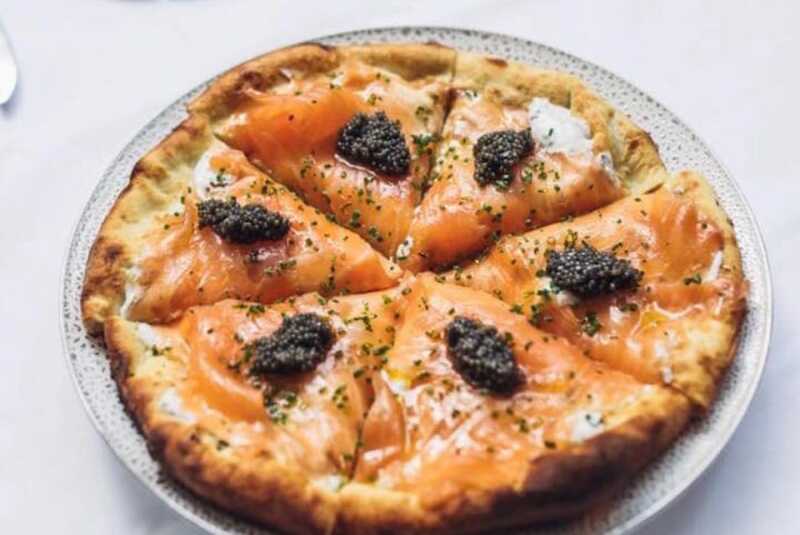 At Spago, crisp pizza dough hot from the oven is slathered with dill-infused crème fraîche and topped with smoked salmon (that's cured in-house, no doubt) and a generous dollop of caviar before it's finished with caramelized shallots. The juxtaposition of hot and cold, crisp and creamy, and sweet and savory flavors has made it an enduring favorite. The story goes that Puck invented his most famous dish one night when legendary actress Joan Collins ordered smoked salmon with brioche and the restaurant was out of bread. Quick on his feet, Puck replaced the bread with a freshly baked pizza crust and created an elevated version of a classic bagel and cream cheese. The current incarnation features whole salmon that is butchered by Spago’s chefs and seasoned with cloves, bay leaves, parsley, thyme and brown sugar. The cured salmon is then smoked in-house, the whole process taking up to four days. Cooked to order, the pizza dough is fired with shaved dried onion and olive oil until the crust is crackling before being covered with crème fraîche infused with dill, shallots, lemon juice, salt and pepper, and crowned with smoked salmon slices and caviar. 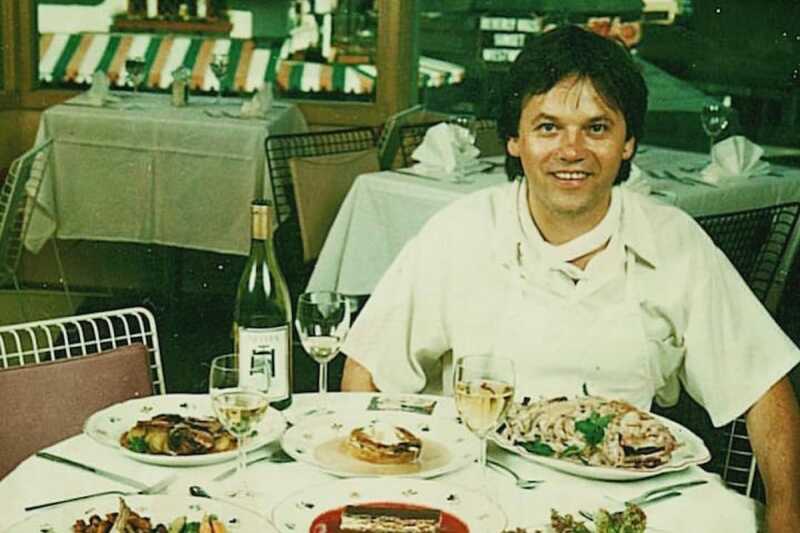 In many ways, Puck was a trendsetter, pioneering the idea of open kitchens in restaurants and popularizing a whole new genre of gourmet pizzas.